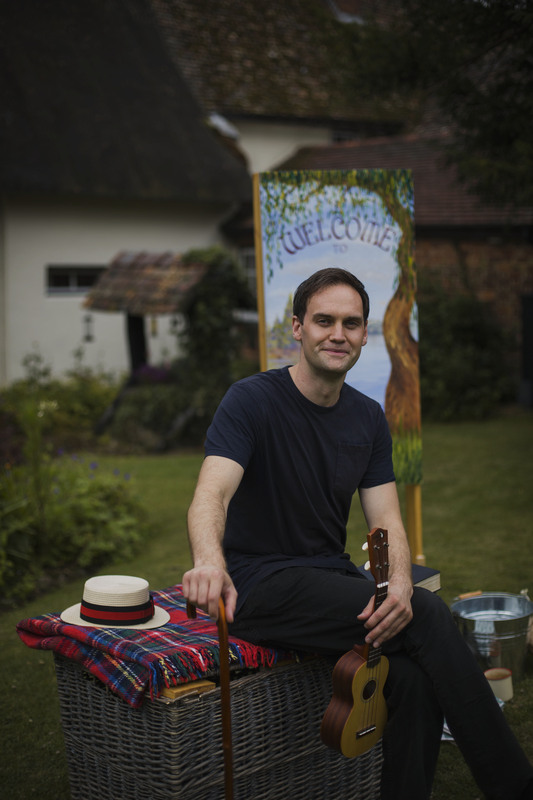 We specialise in bringing you fantastic one-man shows and theatrical experiences. Since 2012 we have adapted and performed incredible entertainment in theatres, pubs, hotels, village halls, golf clubs, yacht clubs and just about every other type of venue going. 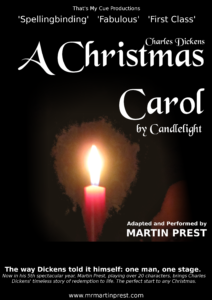 Our first show, 5 years ago, was A Christmas Carol by Candlelight. A show that is still touring today. 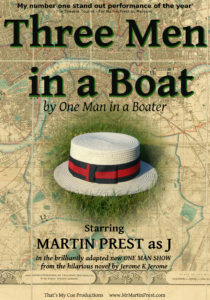 The hilarious, new adaptation of Jerome K Jerome’s comic masterpiece: Three Men in a Boat (To Say Nothing of the Dog). 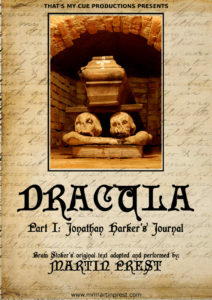 Having safely returned to England, Jonathan Harker (Martin Prest) recounts his terrifying journey to Transylvania and his now immortal encounter with Count Dracula. Now in his 6th spectacular year, playing over 20 characters, Martin Prest brings Charles Dickens’ timeless story of redemption to life. Do you have an occasion or venue you would like entertainment for? Check out our show ideas if you are not sure!